One of the things I most enjoy about NISA is their eye for detail. Specifically, they have fantastic visual sense, which is why I love covering the packaging for their physical editions. And while it’s true I have yet to play the original The Caligula Effect, I’m excited to discuss the presentation of The Caligula Effect: Overdose. 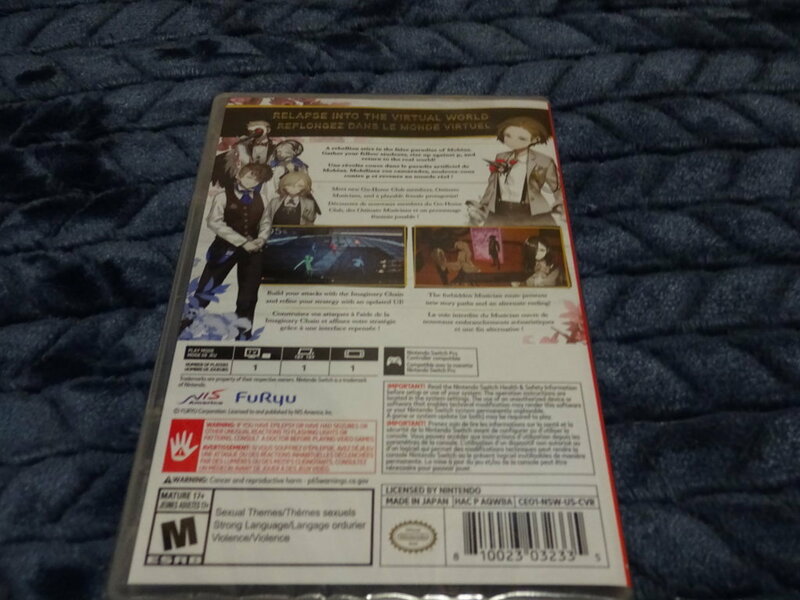 Firstly, the outer box for The Caligula Effect: Overdose is very eye catching. It creates a sense of contrast with only a few colors, and really emphasizes black, white and yellow. All the characters are in very dramatic and seductive poses, and look like pop stars or divas. Which is fitting, considering the accompanying music CD (more on that later). Once opened up, it reveals a whole host of other goodies. The box contains 4 separate items – the game itself, a fold out poster, artbook and music CD. They are all sandwiched pretty tightly, but not so tight they’re hard or dangerous to remove. The CD is in a cardboard sheath, and likewise the game is in a little cardboard frame. Both the other items are free floating. While the game box itself is standard, it’s still very pretty with lots of interesting art on both sides. But what’s full of amazing images is the art book itself, which is several pages of character profiles and other goodies. I avoided looking at it too fully, since it had spoilers, but I can attest the art continues the trend of quality. The poster is also great, and has very dynamic art on it. My only complaint is that all the folds show clear ridges on it, and I might have preferred a cloth poster or something similar. That said, it’s still very nice to look at. Lastly, let’s talk the music CD, since that’s where the bulk of the quality comes from, other than the game and art book. The music CD contains 19 songs, all which feature a variety of musical influences. That said, the standard seems to be JPop with some electronic beats and various classical instruments such as pianos thrown in for good measure. Each of the songs is sung in Japanese. Also, some of the singers sounded like they were wailing, which wasn’t that pleasant. Having said that, the majority of the music was catchy, and I found myself dancing to the rhythm the longer I listened. I definitely preferred the more discordant and edgy songs, and found the super upbeat ones were a bit too saccharine for my tastes. By far my favorite songs were Sin and Distorted Happiness. There’s definitely some influence from games like Mega Man X and other games here, and I find myself curious how these tunes flavor the game itself. 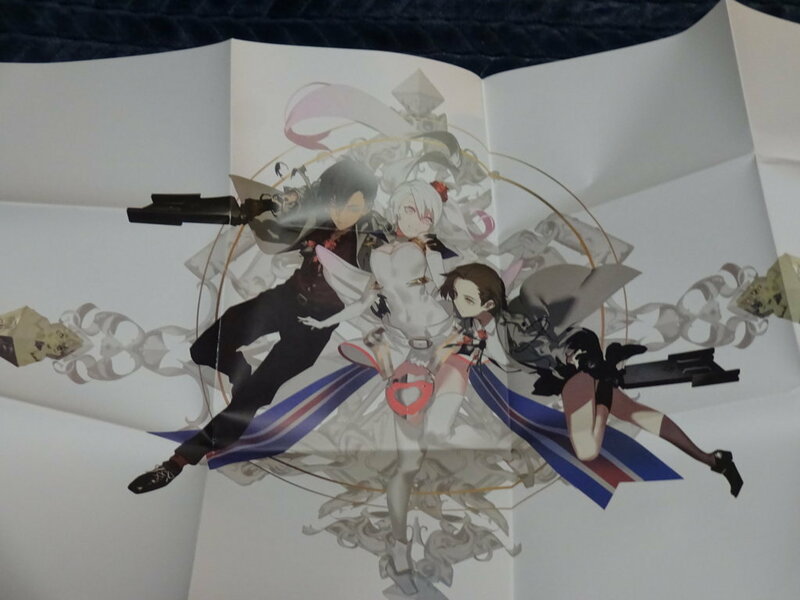 Overall, I’m pretty happy with the packaging for The Caligula Effect: Overdose. It’s a very pretty package with a lot of great extras thrown in for good measure. While I don’t love all the music, overall it was enjoyable. And the art is by far my favorite part, as it does a really good job of tying everything together. If you like in depth limited editions, you can’t go wrong here. But if you want to know how the game plays, stay tuned for oprainfall’s upcoming review of The Caligula Effect: Overdose!